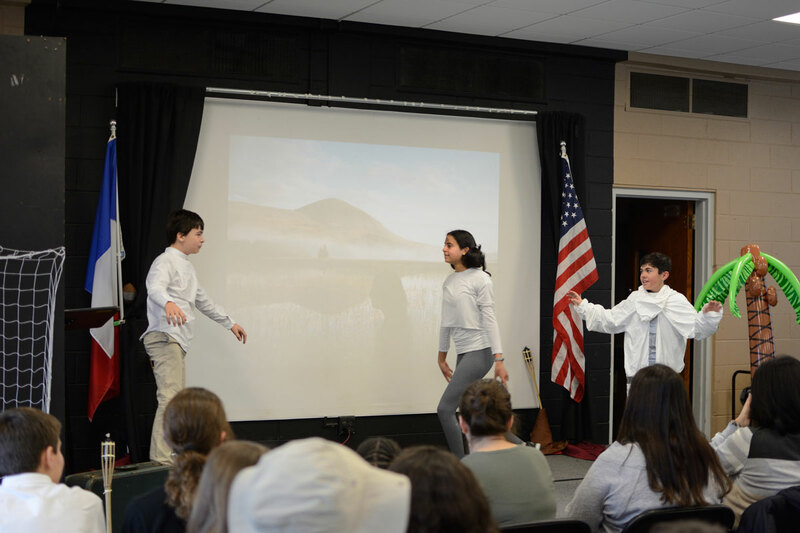 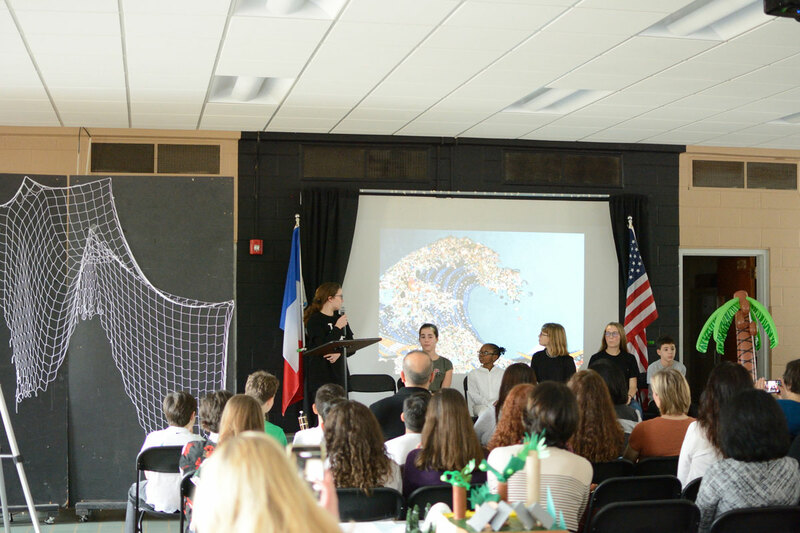 Grades 7 & 8 presented their creative learnings, stories and designs at their bilingual forum last week. 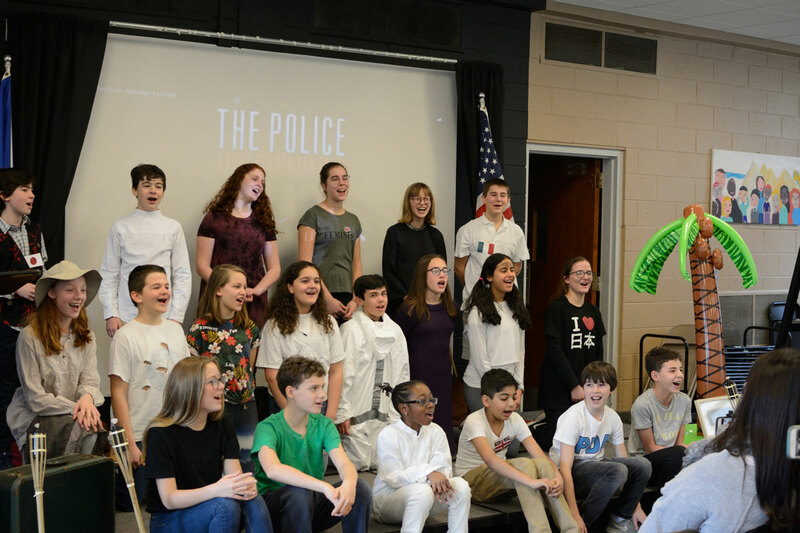 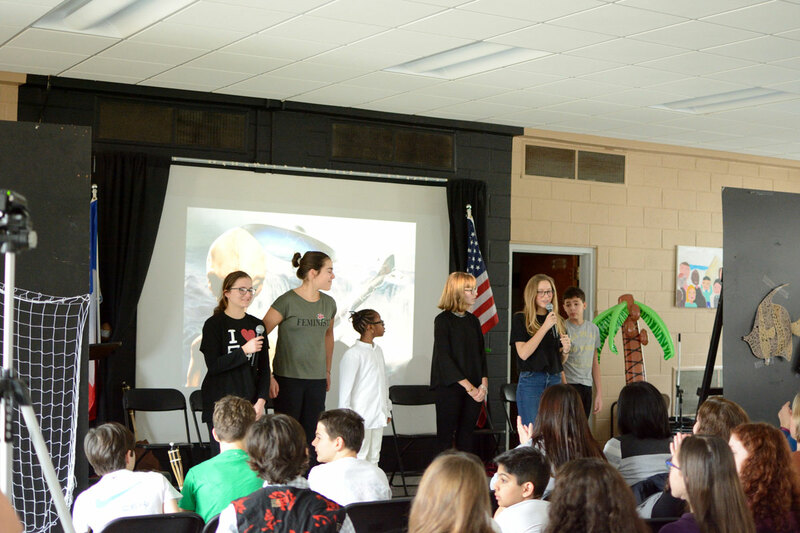 Grade 8 students shared what they’ve learned about plastic pollution in our oceans and how they’ll help with community service projects during their trip to Bermuda in May. 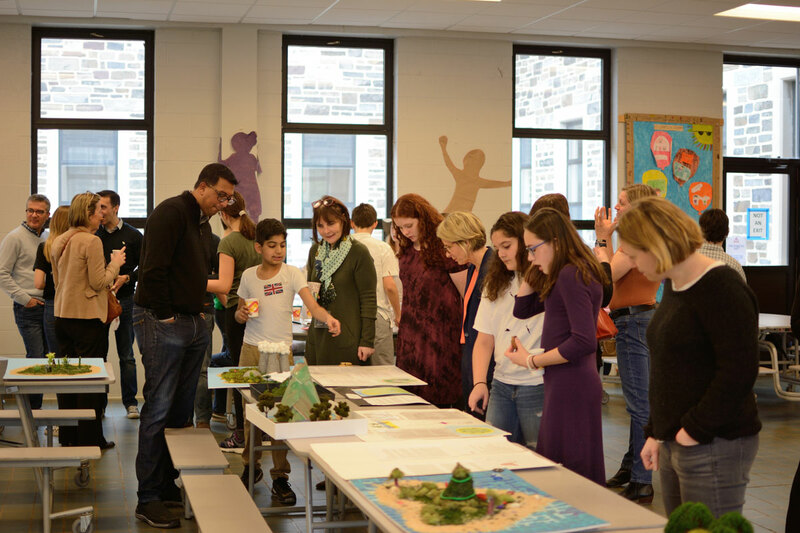 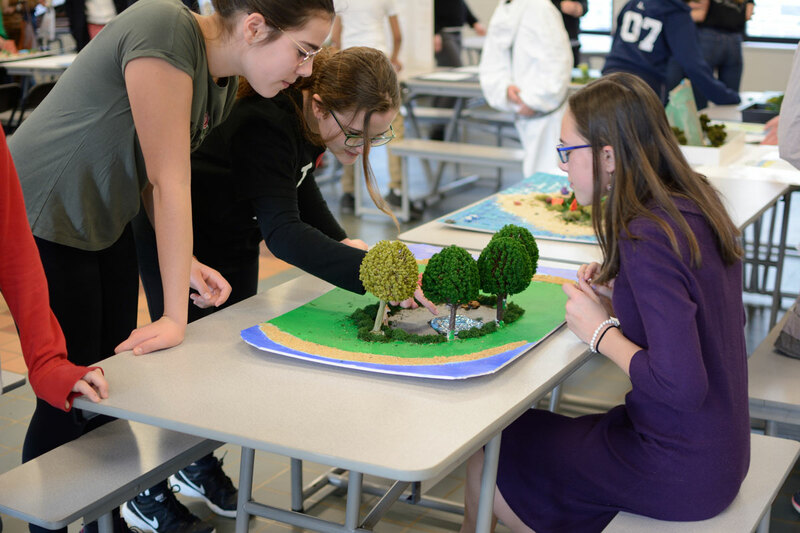 Based around their study of the novel Lord of the Flies and Vendredi ou la vie sauvage (a French novel inspired by Robinson Crusoe),Grade 7 students shared skits about being stranded on a desert island and displayed 3D models of their own island designs.